Many visible signs of skin aging are caused by environmental aggressors—but you can fight back. The texture, firmness and long-term health of your skin is determined by how well you take care of it, so if you're looking to step-up your skin care routine, proper cleansing is the best place to start. A gentle facial cleanser frees skin of dead surface cells, make-up, excess oil, bacteria and pore-clogging debris, allowing skin to breathe. The vital first step to any beauty routine—cleansing revs-up your skin’s circulation to boost radiance, and preps it to receive the full benefits of the treatments to follow. While using a facial cleanser might seem fairly straightforward, cleansing incorrectly can cause excessive dryness, oiliness, even breakouts. Here’s what to know: cleansing your face more than twice a day can strip your skin of its natural oils resulting in tightness; not cleansing enough can lead to a build-up of oil, resulting in clogged pores, blackheads and blemishes. Clarins has a gentle foaming cleanser and alcohol-free toner for every skin type. If your skin is normal or combination, consider Gentle Foaming Cleanser with Cottonseed followed by Toning Lotion with Camomile. If you need a facial cleanser for oily skin, opt for Gentle Foaming Cleanser with Tamarind followed by Toning Lotion with Iris. Being good to your skin by choosing the right facial cleaner for your skin type is key to maintaining a healthy-looking, radiant complexion. Before cleansing your face, wash hands thoroughly to avoid exposing your skin to additional dirt and debris. Remove eye makeup. 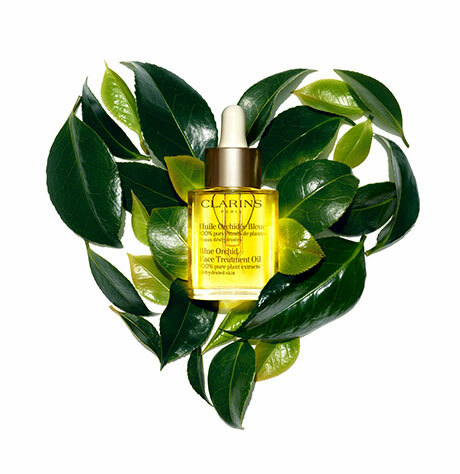 Clarins’ Instant Eye Make-Up Remover gently dissolves long-wearing and waterproof formulas. Warm a small amount of your foaming facial cleanser between your fingers and add a little bit of room temperature water. Apply to damp skin. Using the natural weight of your hands, distribute the facial cleanser evenly over your face and neck. Lift off your hands quickly to suction out pollutants and impurities. Repeat 7 times on the face, 7 times on the nose, 5 times on the neck. Finish with gentle circular motions all over your face and neck. Splash with room temperature water and pat dry. Water that is too hot or too cold can irritate the skin. 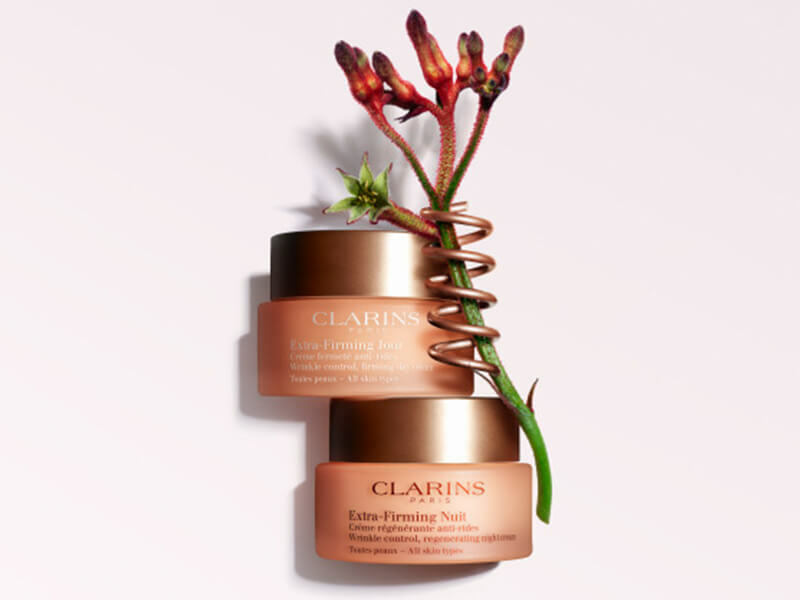 Follow with the Clarins Toning Lotion for your skin type. Regular bar soaps can strip facial skin of natural oils, drying and damaging it over time.